This summer tie in peach-orange by Parsley is the perfect accessory for the style conscious businessman. The peach color fabric is decorated with a very delicate cross pattern that is woven into the fabric adding nice texture and luxurious thickness. Suits in navy, tan, and charcoal are the best canvas for this fresh colored tie. 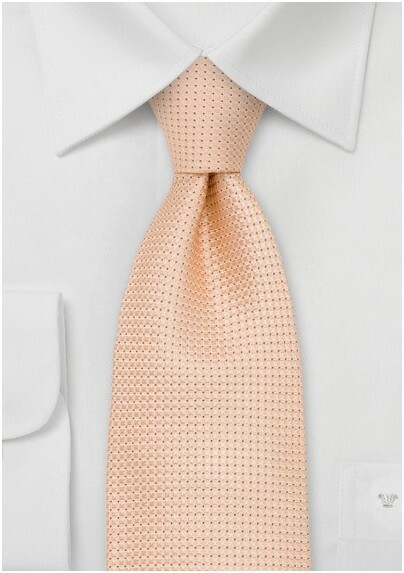 Our favorite look: Navy suit, white dress shirt, this tie, and a matching peach colored hanky in your breast pocket. Made from 100% silk.